Vikalp Scheme 2015: Indian Railways has launched the Vikalp Scheme on 1st November 2015. According to this Vikalp scheme, the passengers who are wait listed in the booked train will get conformed berth in the next alternate trains (same route). This is one of the useful scheme for the passengers because they get confirmed berth in the train of their wish. What is Vikalp Scheme ? Vikalp Scheme is nothing but Alternate Train Accommodation Scheme(ATAS) for confirmed seats to wait listed passengers. People will get confirmation in berth coach in next available train. Where are the places Vikalp Scheme Introduced? 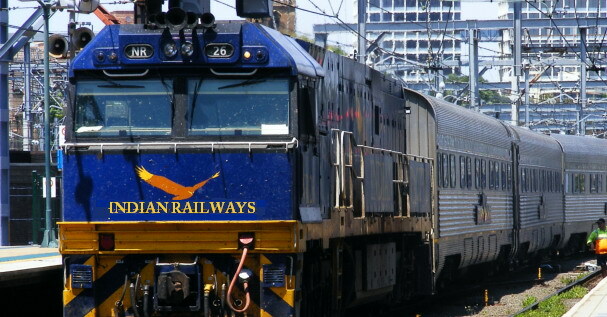 This Vikalp plan was first introduced in the two routes such as Delhi to Lucknow and Delhi to Jammu. After getting successful feedback from passengers, it will be available all routes in the Indian Railways. If a passenger opted for the Vikalp scheme while booking tickets through online means, they will get SMS alert regarding Ticket conformation in alternative train. Candidates have to choose the Vikalp Scheme while booking ticket through the online IRCTC website. If the passengers did not select the Vikalp scheme means, they are not eligible to get benefit under this scheme. Candidates in waiting list and remain fully Wait listed after charting are considered for the Vikalp Scheme. Vikalp Scheme does not mean that berth is confirmed to passengers in alternate train because It will be subjected to train and seats availability. Once Alternate train is confirmed means, Cancellation charges will be given as per the status in alternate train. Your boarding and destination station may be changed to the near station. Passengers can able to get berth in alternate train available within Twelve Hours from the departure time of original booked train. Passengers are advised to check the PNR status after charting provided. The VIKALP opted passengers who have been allotted seats in the alternate train will not mentioned in the wait listed charts of original train. The Candidates allotted alternate train can travel on authority of original ticket. Passengers who are allotted accommodation in the alternate train under the Vikalp scheme will be treated as the normal passenger. There may be a re allotment may happen, so the passenger are advised to check the PNR status regularly to get updates. VIKALP passenger can cancel after alternate accommodation allotted and the cancellation rules will be applied as per the norms. If the passenger did not traveled in the alternate train means, they can claim for refunds by using the TDR request. There is No refund is provided for difference in fare between the original train and the alternate train, including Tatkal.